Most of the time we’re on the hunt for glamorous furniture or décor items to do up our homes, and forget the little traditional bits that have their own charm. We discovered a tiny 10-year-old store that sells gorgeous brass and wooden pieces on the busy streets of Colaba called Tohfa Handicrafts, just opposite Electric House. 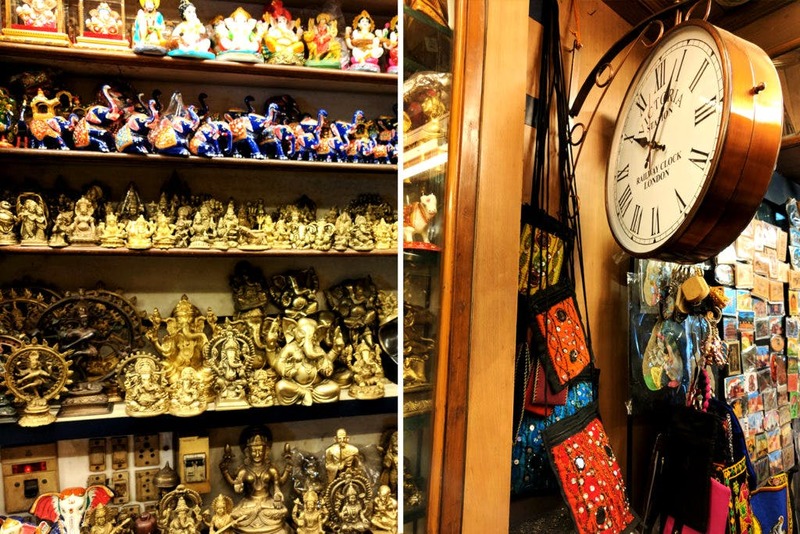 The shop is crammed with brass deities, chimes, wooden artifacts, glazed and meenakari showpieces and even bags and purses that can be used for any occasion. What we loved was a gigantic antique wall clock that was on sale for INR 1,800. The gorgeous handicraft bags and purses start from INR 150 onwards, and make for the perfect gifts for friends and family who don’t stay close by. The brass pieces start from as low as INR 80 for small figures and can go up to INR 7,000. After being mesmerised by all things shiny and wonderful, we stepped out and noticed that they also sell Tibetan singing bowls, bongs of all shapes and sizes, brass bells and even wooding walking sticks. So, plan that perfect corner at home with treasures from this little jewel in town.